Patterns By Jen: Beginners Unite! 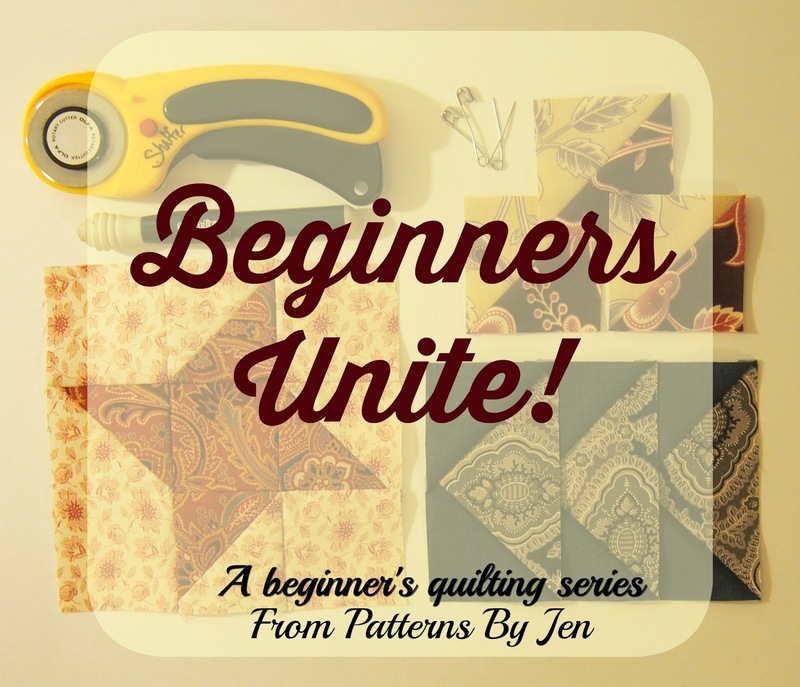 A beginner's quilting series. A few weeks ago some fellow designers were helping me "find myself." Who am I as a designer, where is my heart? All along my heart has desired to bring new quilters to this wonderful craft. So here we are, at the very beginning. A few things before we kick this off. 2) This is just how I do things. I don't turn my quilts in to be judged at shows, I make them to make me happy. 3) It is not "my way or the highway" here. It is "this is my way, use it if you will, but find your way and do that." 4) I am still learning new things. 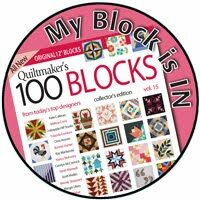 It's a great big quilting world out there, never stop learning! 5) There are no affiliations here. What I use is what I love, and I'm just sharing them with you. Find and use what you love. 6) Please feel free to share your tips for each section in the comments. This is about growing as quilters. 7) I am human. Yep, I said it before, but as I go forward with this, I may or may not be able to keep this to a once a week series for the next few weeks. That whole "never stop learning" thing goes for blogging, too. I am definitely at the beginning of that mountain. Plus, there is a rumor going around that I have an 18 year old set to graduate this spring. I don't know, I tend to ignore those nasty rumors. 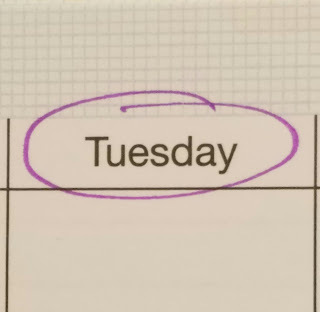 I think every Tuesday will be the goal. Here is the planned list of topics, but if I think of others as I go, they will be added as well. See something I missed? Leave a suggestion in the comments! I'm so excited to get started with this. 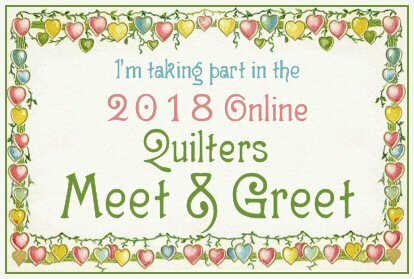 Send those new quilters over and lets help them find a love of this amazing thing we call quilting! 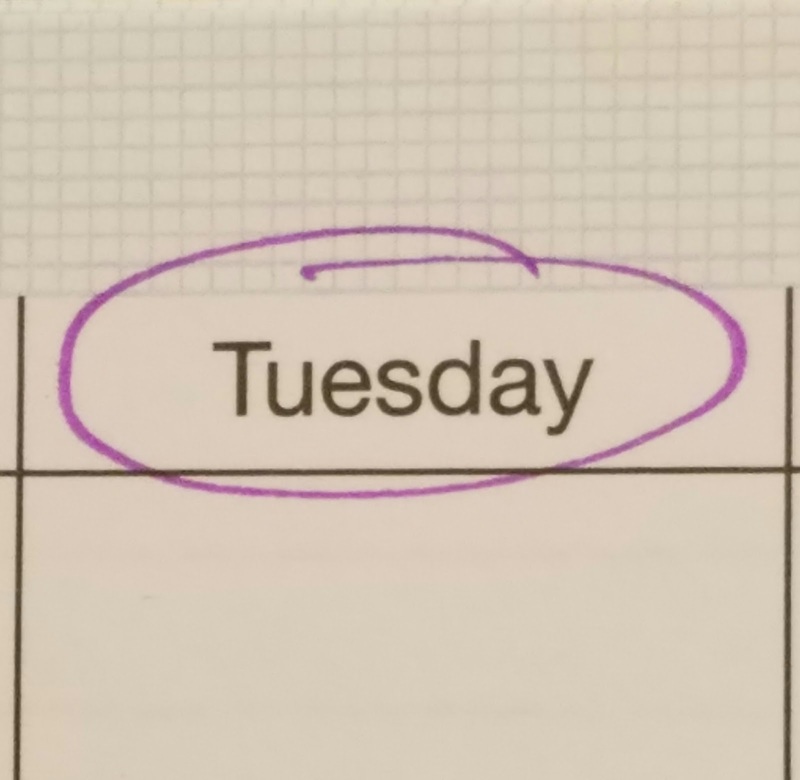 It all begins Tuesday, May 9th! Oh Jen! What a brilliant idea for a series. I can't wait to read all your tips and tricks. Beginner or not, we can all learn a little from other quilters. Suggestion? How about a post on fabric/color selection. 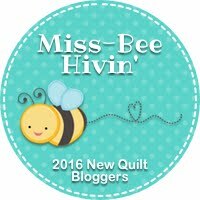 I know when I was a new quilter I was so intimidated and overwhelmed by all of the choices out there. Sounds like a great series, Jen! Thank you, Paige! I'm excited to get started! Looks like there's something for everyone, not just beginners. Hi Sandy! This is just a series that I post every Tuesday. You can get email updates when the post goes lives by entering your email address in the "Follow by email" box under my profile on the left. Just found you right in time!! Looking forward to this series. Thanks for doing it!! So glad to have you along!! I know I am late to the party but I am a 4-H leader. I would love to use your lesson to teach these kids how to sew. Is it okay as long as I give you credit?